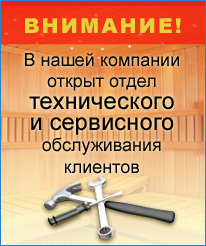 Calypso SPA - this is the ideal solution for defusing and removing utalosti. After a tedious and stressful day people seeking to relax. To do this he needed a comfortable place, comfort, as well as the ability to create and enhance comfort. What do you appreciate most at KURORT Calypso? Using ceramic composite technology Compass Pools is considered a world leader in the production basins. Ceramic layer Calypso SPA twice extends the life of the bowl. Smooth surface prevents the propagation of algae, thereby reducing the number of drugs used for disinfection. Ceramic layer improves insulation, which reduces the cost of heating. Rigidity design allows fully deepen bowl Calypso SPA without the use of concrete. The possibility of a complete set of customized bowls. It should add to the benefits of such strict controls Compass Pools for their products, guarantees, designing pools happening on the most stringent standards. All of this provides an important advantage - a correct sense of comfort and quality of investment body and soul. At your service, supplies and accessories suitable (counterclaim stream, waterfall, etc. ), lighting, the type of water treatment, heater and much more. Enjoy fully automated service basin, with a system of self-purification and circulation.